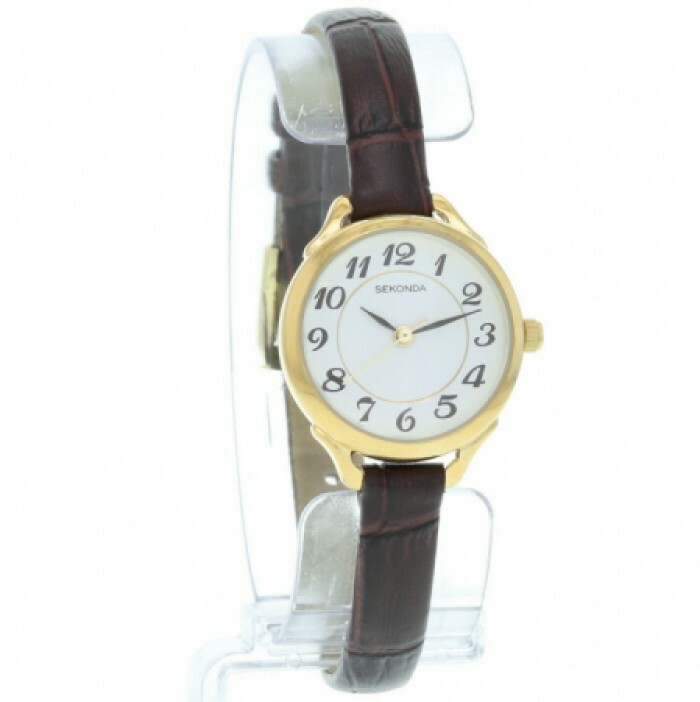 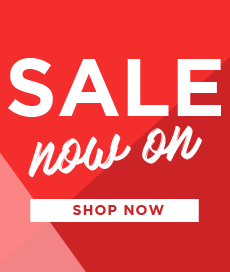 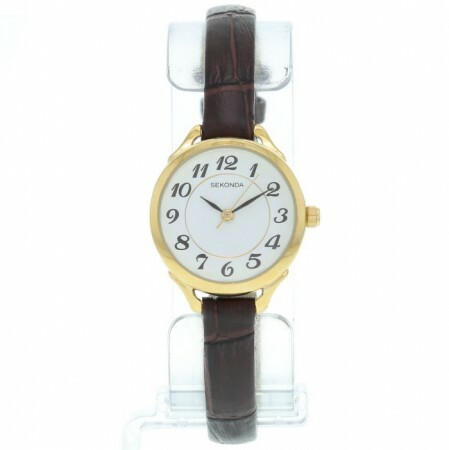 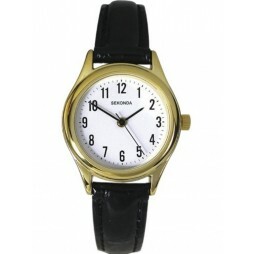 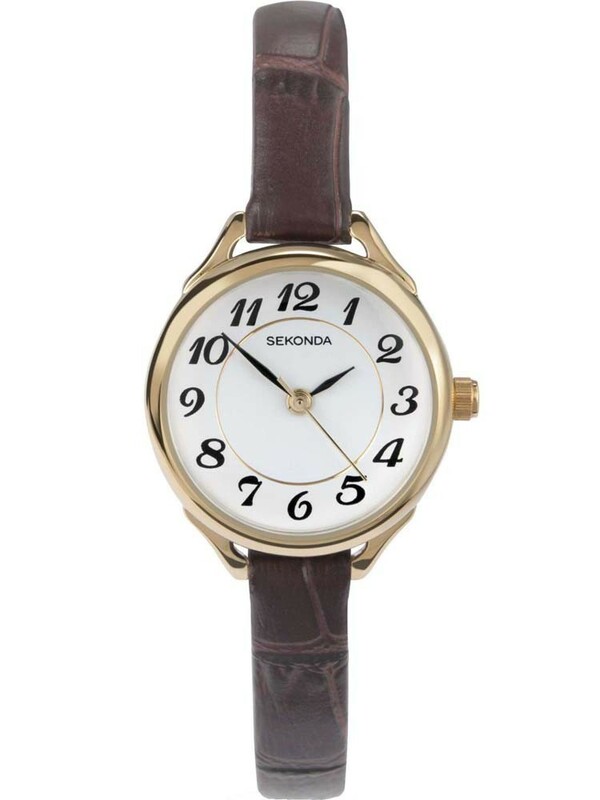 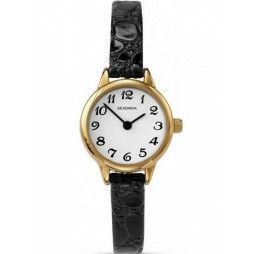 From Sekonda this ladies timepiece has a classic look. 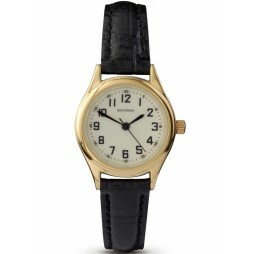 The understated brown leather strap is fixed to the gold plated steel case. 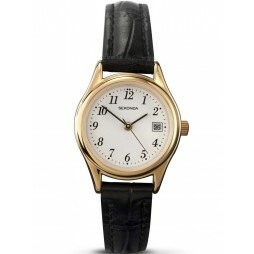 The minimalistic white dial has black numeral hour markers. 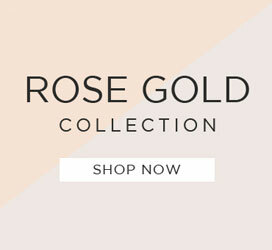 The perfect gift your loved one.